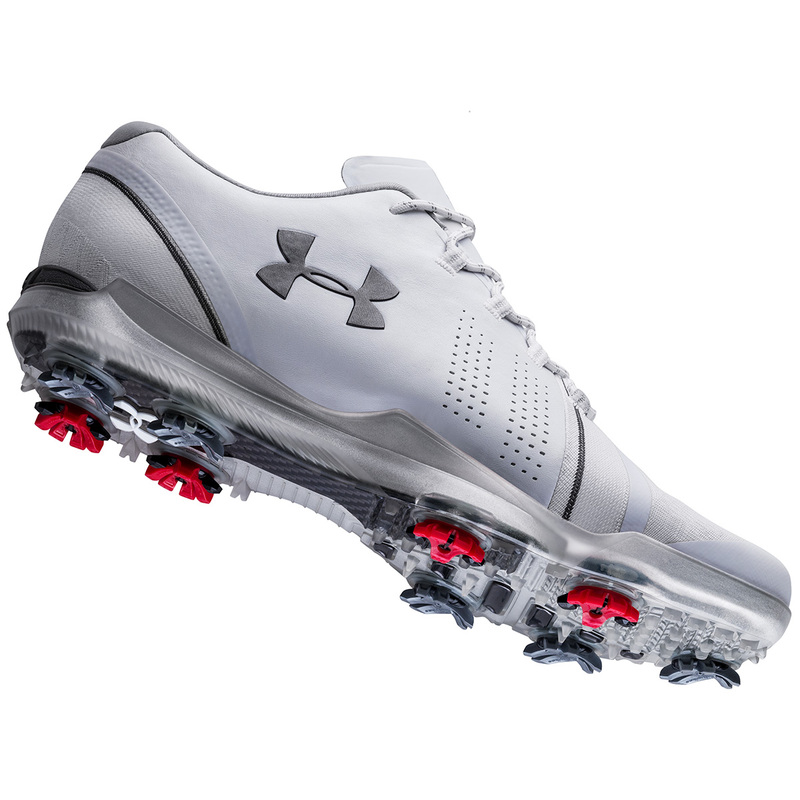 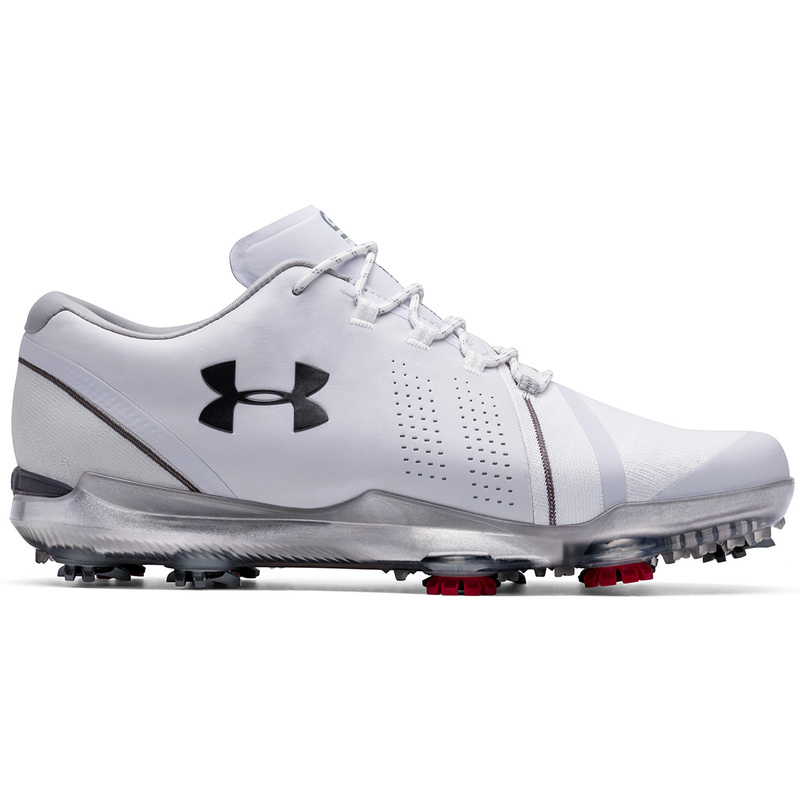 Raise your golf game with these exciting new shoes from Under Armour Golf. 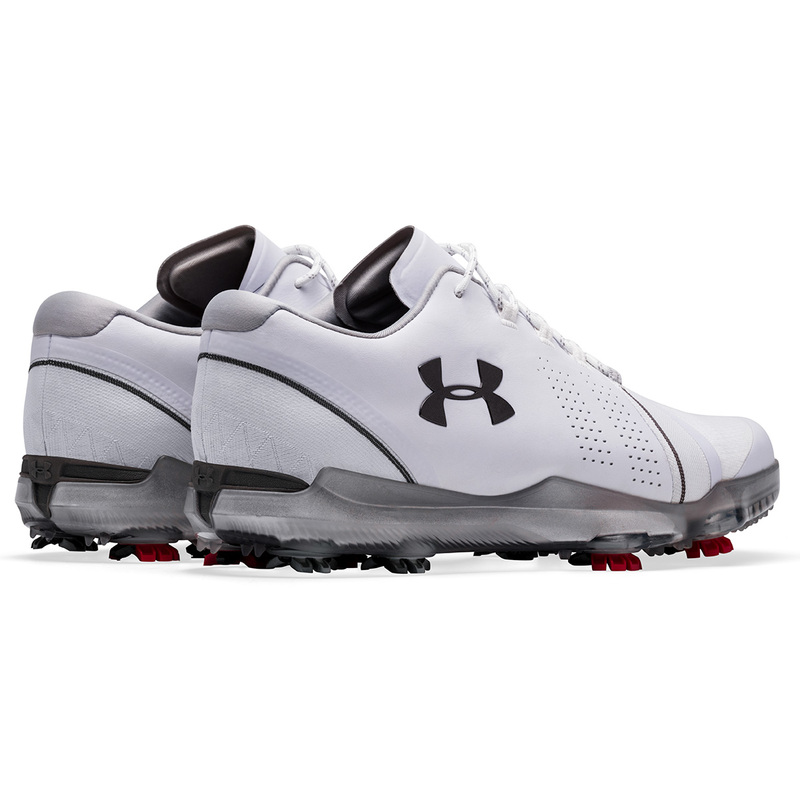 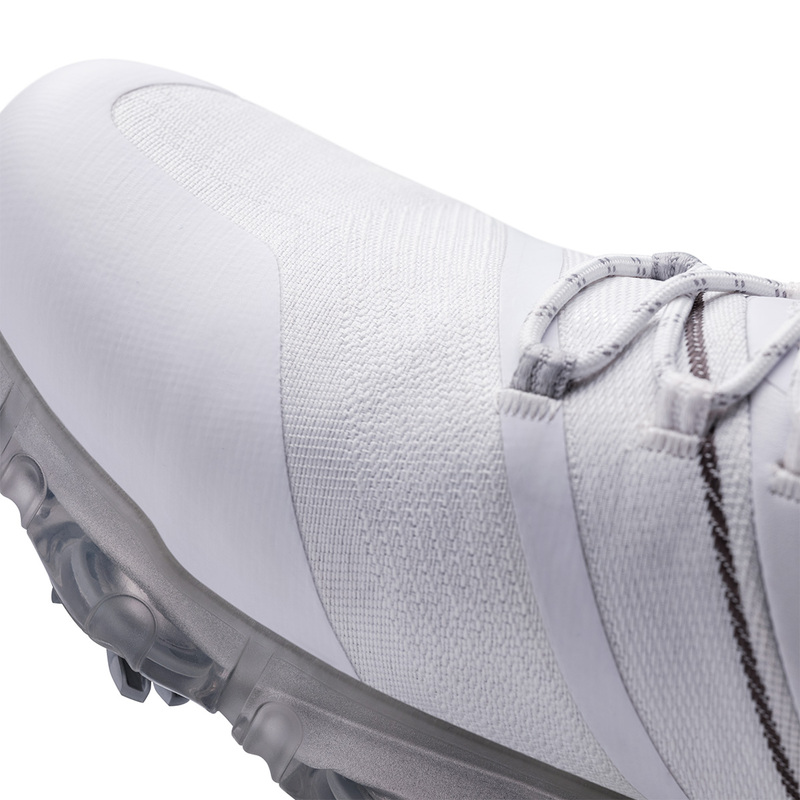 This signature shoe has been developed by 3-time Major champion Jordan Spieth and engineered by leading biomechanic J.J. Rivet to delivery the most technologically advanced golf shoe UA has ever produced. 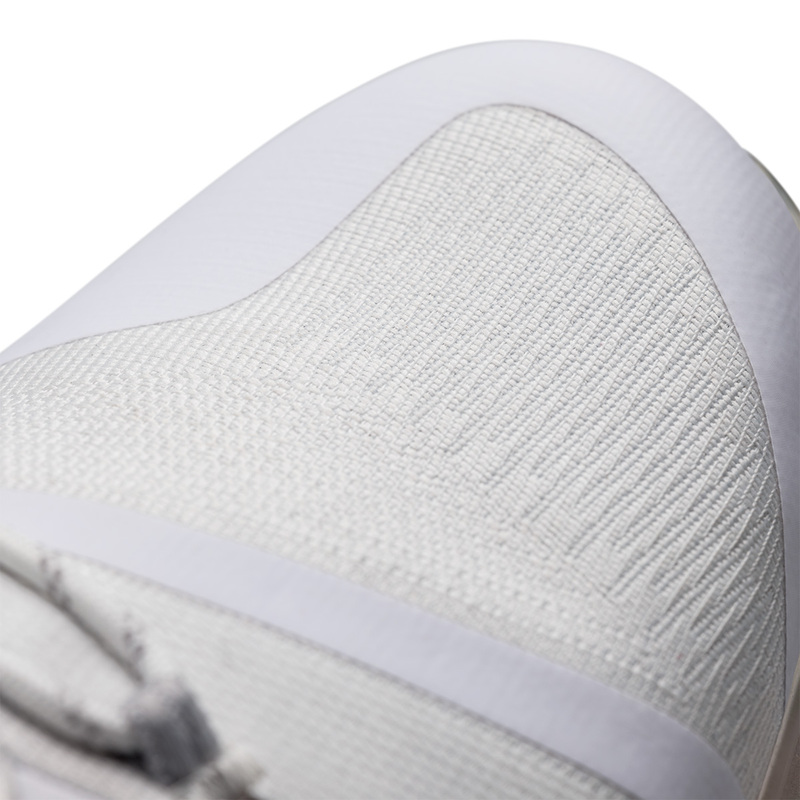 At the request of Jordan, the shoes were made significantly lighter and flexible, with Clarino Microfibre in the upper and woven jacquard in the forefoot. 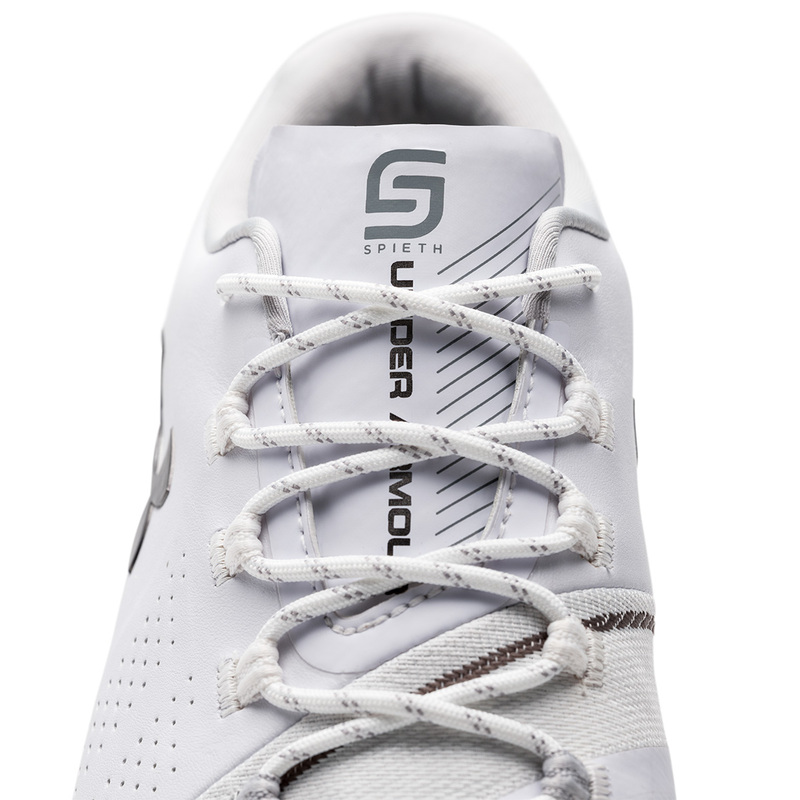 With a heel counter to biomechanically correct foot support and a carbon fibre insert strategically placed to deliver more stability, and a cushioned EVA midsole for long-lasting comfort and support. 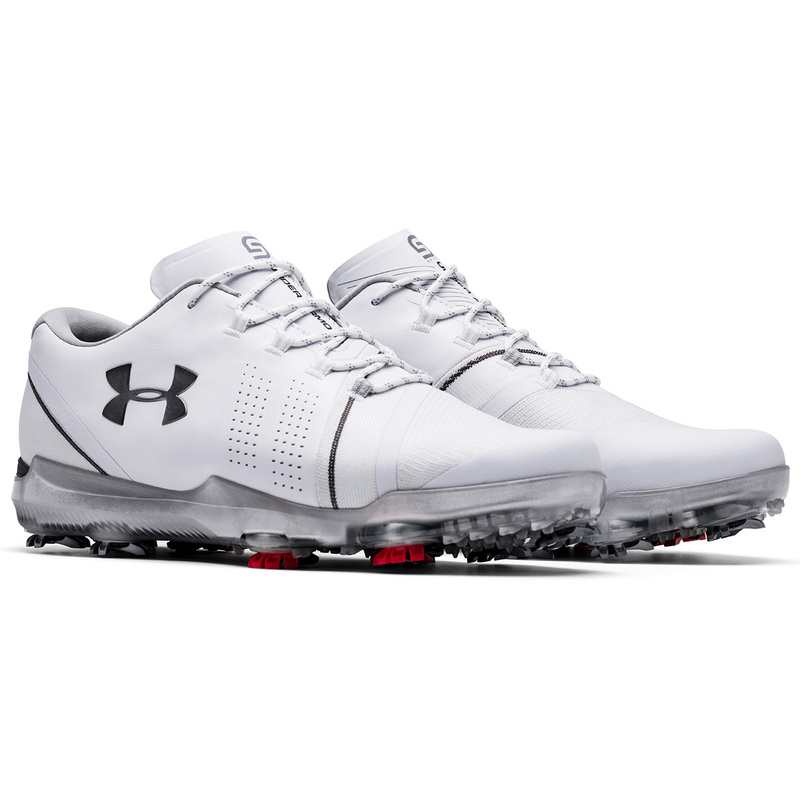 This premium shoe delivers 100% waterproof protection thanks to a GORE-TEX breathable membrane designed to release perspiration for zero-distractions during your golf game. 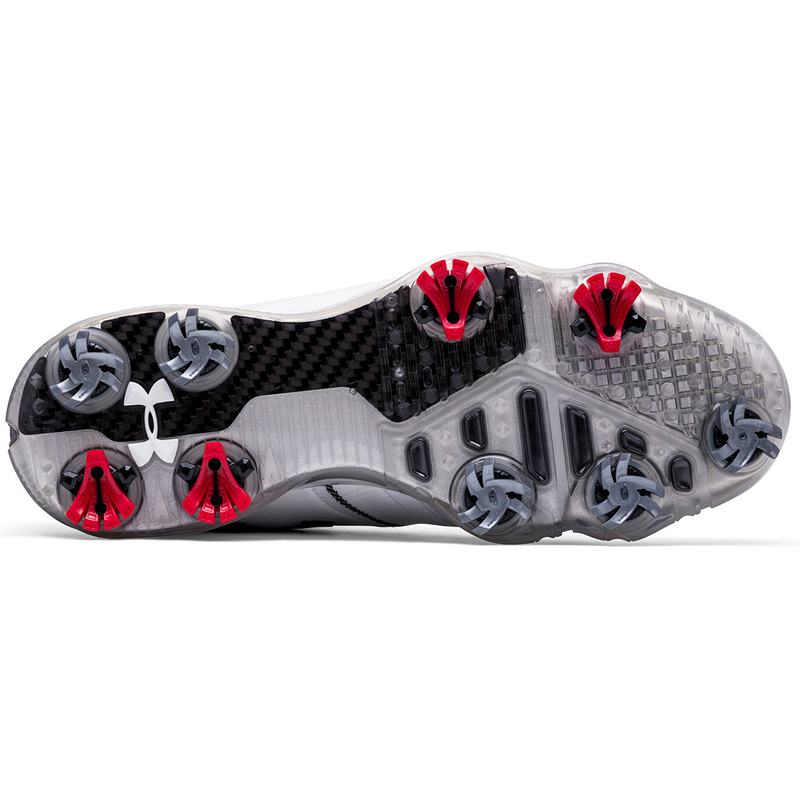 Built to handle Jordan`s unique swing the shoe features a new evolved rotational resistance to keep the feet on the ground as long as possible. 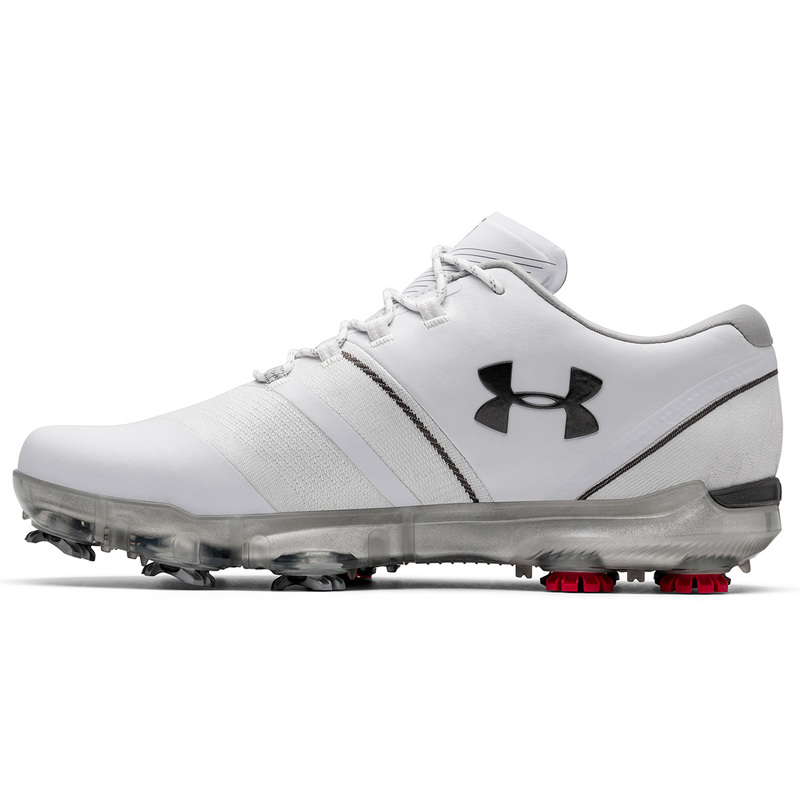 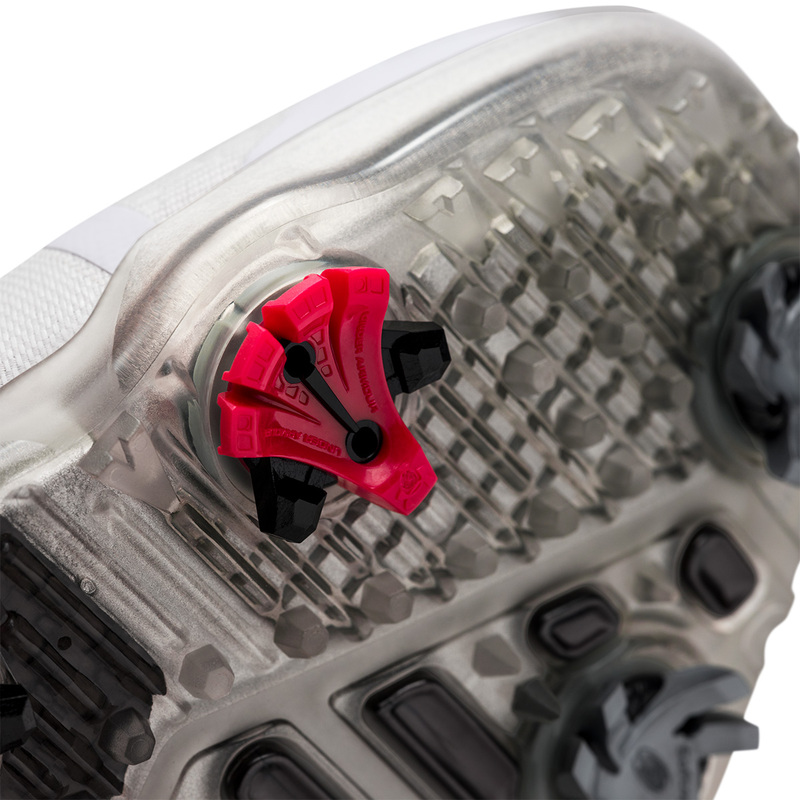 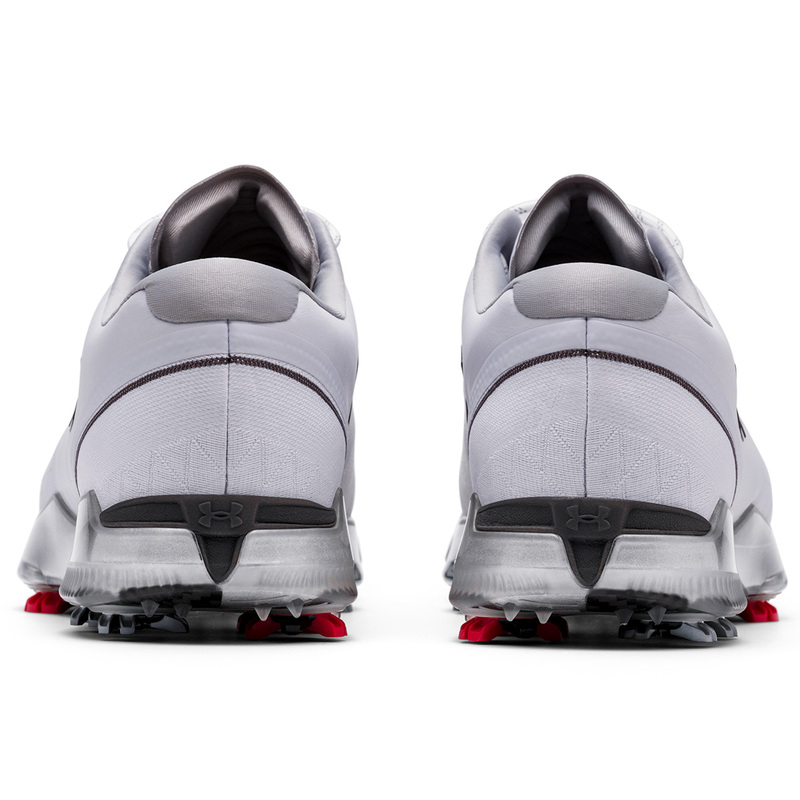 The shoes feature a UA Rotational Resistance spike (RST 2.0), and Softspikes™️ Silver Tornado, to create a lower profile with rotational traction that offers less putting green impact.